A Phoenix woman spoke with KTAR News yesterday about the time she was pursued by embattled comedian Bill Cosby. “I wasn’t raped or drugged, but the same predatory grooming happened to me,” Phyllis Lane said. Lane is an artist and author, she recounted how as a 16-year-old girl with a budding modeling career, she was selected out of a crowd at one of Cosby’s New York City show tapings so the comedian could meet her. Lane claimed Cosby offered to help her with an acting career. A few nights later, Cosby took her and a roommate to a brownstone house, where he offered Lane alcohol. She did not accept. “When we walked away, we were both like, ‘Something’s not right here,'” she said. She said she spurned Cosby’s offers but he persisted. Over the next several months, he sent her flowers and attempted to contact her. “He really pursued (me),” she said. In a final effort, Lane said Cosby invited to fly her to Las Vegas on a private jet. 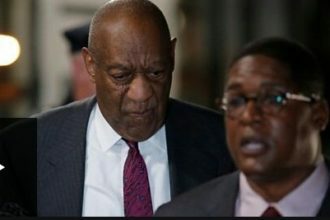 Lane never saw Cosby again. Though it has been decades since she interacted with Cosby, Lane said she gained courage from other women speaking up against him. “As more and more women come out, as more people around Cosby come out to tell the truth, I hope there will be justice,” she said. Isn’t This The Most Controversial Magazine Cover Ever?